during the Golden Age of vacuum tube audio. Beginning in the 1930’s, Bell Sound Systems was the name of a company that manufactured hi-fi components (and other products) up until 1965. The company probably reached its peak in the late 1950’s with its leather-toned, space-age, slim-line hi-fi and stereophonic components. 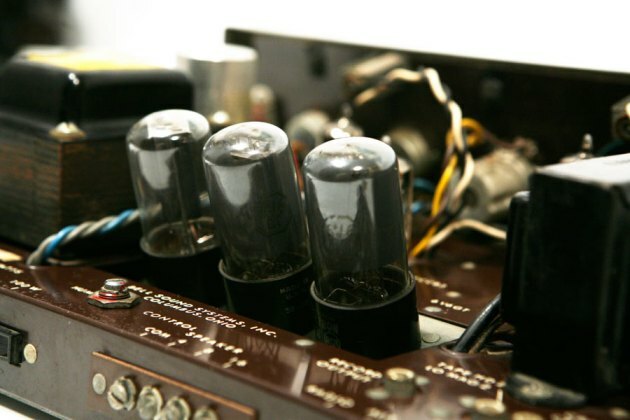 Even today, Bell amplifiers and tuners are highly prized treasures of a golden era in vacuum tube audio that has long since passed away. Bell Sound was founded by Floyd W. Bell in the early 1930’s, in Columbus, Ohio. 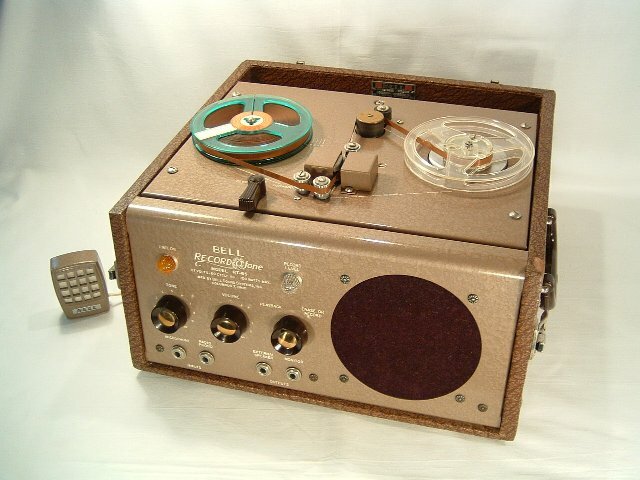 Bell Sound developed the first commercially available reel-to-reel tape recorder in the 30's. They went on to develop and manufacture several models. Bell Record-O-Fone magnetic tape recorder. During World War II, Bell achieved major growth as a manufacturer of public address systems. They manufactured intercoms that were used on American destroyers during the war, and they even earned the Army-Navy Manufacturing Excellence Award. Bell continued to work on military contracts after the war. They developed an airborne infrared detector that could spot ‘hot’ targets such as Russian T-34s from up to four miles away. However, Bell had not abandoned its roots in audio component manufacturing. The company manufactured art-deco styled PA products in the time period immediately following the war. In the late 1940’s they introduced the Model 2122 and other hi-fidelity amplifiers. Bell also manufactured tuners, magnetic tape recorders, and they even made a product called the RC-47-A, which was a record player/recording lathe for home use – with it, you could record and press your own records at home! Bell RC-47-A. Make your own records at home! Bell introduced the Bell 3D Binaural amplifier in 1953. 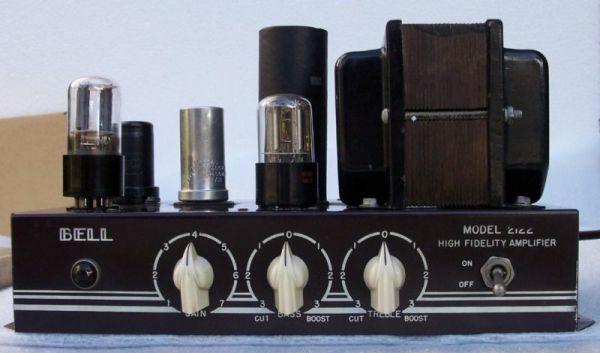 It was hailed as the first commercially available stereo amplifier for home hi-fi use. Bell added a tape head input to the 3D in 1956 and it became the 3DT. The 3DT produced 10W per channel. The outstanding feature of the Bell 3DT was its build quality. It used a 30W Stancor output transformer in a 10W design (overkill), permitting incredible frequency response that was absolutely flat from 20-20,000 cycles. The preamp and phono stages were cascaded Class A amplifiers, followed by a long tail phase inverter. Quality paper capacitors were used throughout, along with Ohmite carbon resistors and Sprague electrolytics. By 1953, Floyd Bell was nearing retirement and decided to sell his company. Bell Sound was acquired by Thompson Products (originally the Cleveland Cap Screw Company, founded in 1901) for about one million dollars. Bell became a wholly owned subsidiary of Thompson Products (TP), but Bell retained most of its management, its independent identity, and its manufacturing facility in Columbus, Ohio. 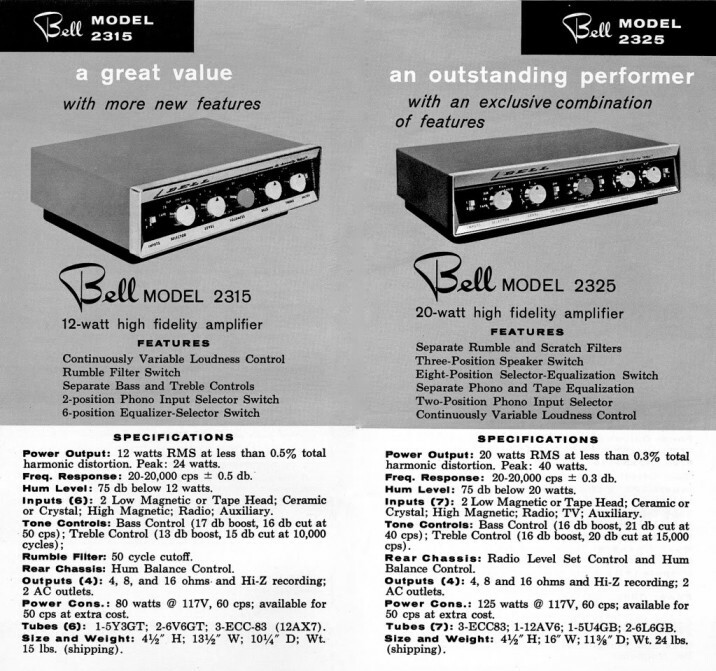 In 1957, Bell Sound redesigned its entire audio product line, moving forward with new amplifier and tuner models that were housed in an ultra-modern, slim-line style chassis. The outer cover, made of vinyl-clad steel, had the look and feel of fine saddle leather. The chassis was only three inches high. The company touted the “sleek, slim silhouette” of the new design. Model 3030 - Stereophonic sound!. The updated amplifiers had a myriad of inputs, mounted on the rear panel using RCA-type phono jacks. 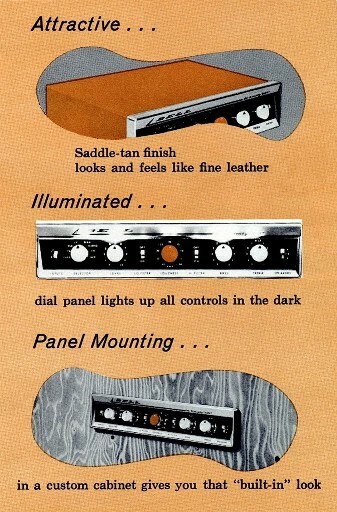 The jet-age, contemporary plastic front-panel dials were illuminated from above, and the front panel itself was slanted. The amplifiers featured a new twist - a continuously variable Loudness control, along with a regular volume (Level) control. Check out the illuminated front panel! The new product line included the Model 2315 amplifier (12 watts from two 6V6 power tubes), the Model 2325 (20 watts from a pair of 6L6 power tubes), and the Model 2360, which produced a stunning 50 watts from a pair of 6CA7 power tubes. 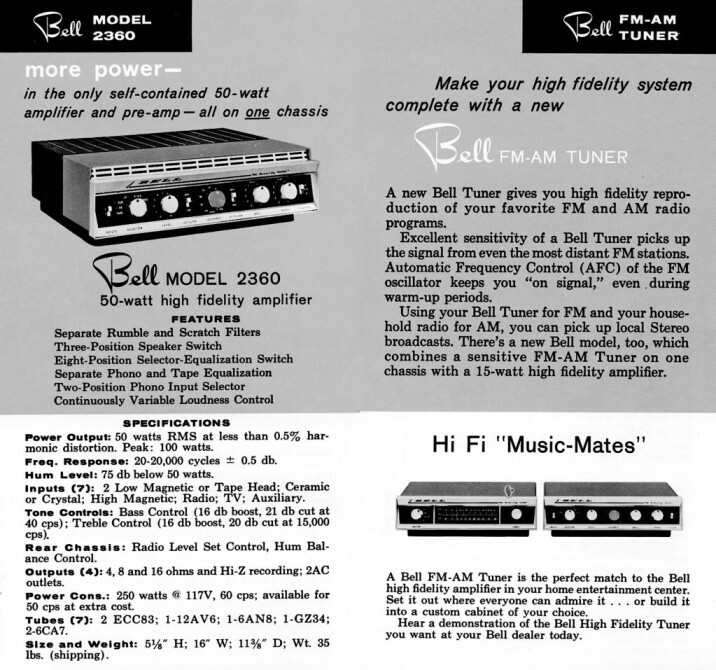 Other products in the new line included the Model 2520 AM-FM tuner, and the Model 2521 25-watt AM-FM receiver (using a pair of EL84 power tubes). 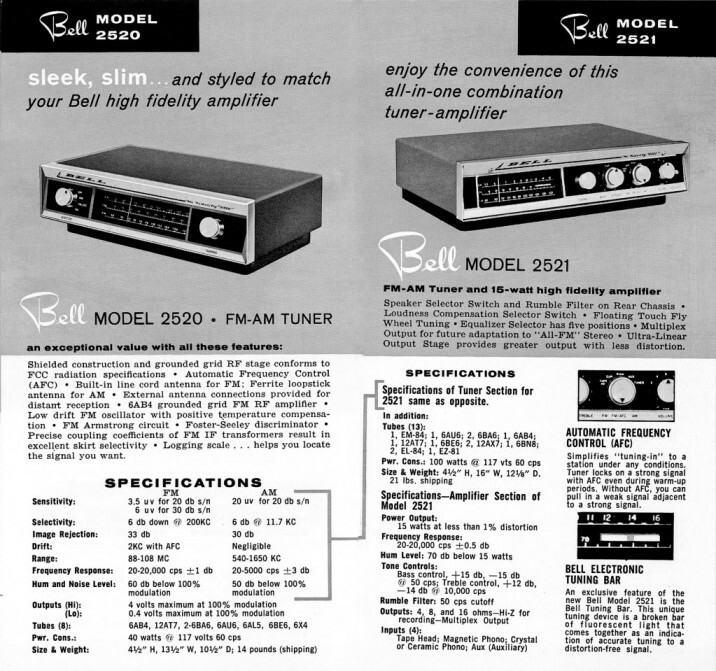 Bell added the Model 3030 STEREOPHONIC amplifier and the Model 3070 AM-FM tuner to the lineup. The 3030 produced 30 watts (15 watts per side) from a quartet of 6V6 power tubes. 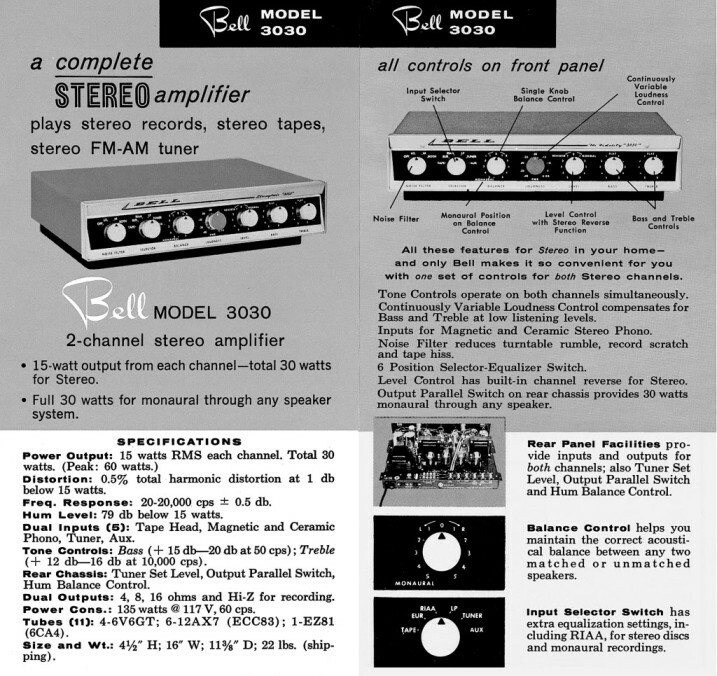 In 1959, Bell introduced a new top-of-the-line stereo amplifier, the Bell Carillon Model 6060. 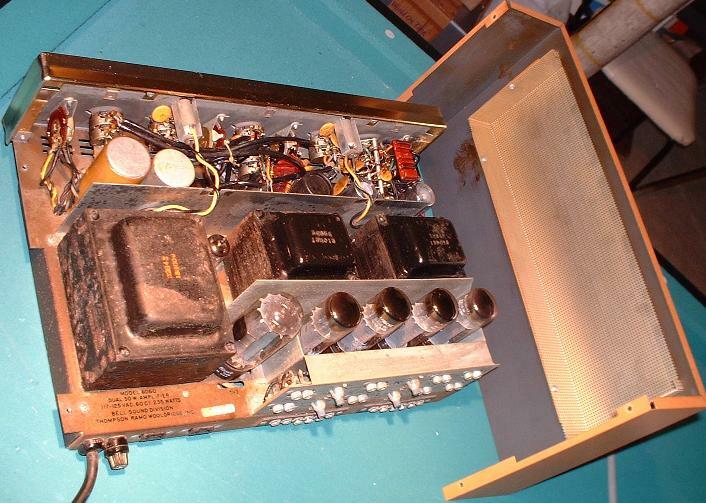 The Model 6060 produced 30 watts per channel using a quartet of EL34 power tubes (one pair for each channel). It used six 12AX7 preamp tubes, and a 5V3 rectifier tube. 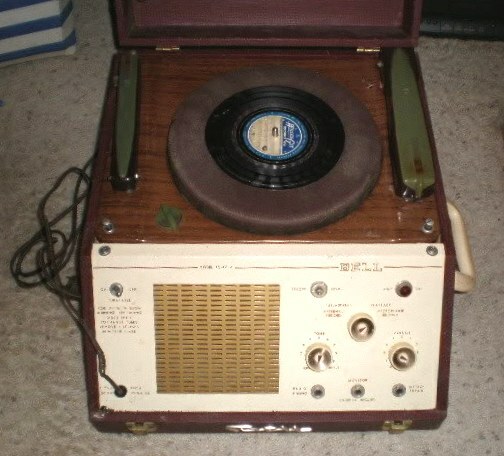 Other features were a Lo cut filter with three settings (40Hz, 80Hz, and Off), an input Selector switch (Microphone, Tape head, RIAA phono, LP phono, European phono, Tuner, Tape amp, and Auxiliary), separate tone controls for the left and right channels, a Hi cut filter with three settings (4kHz, 8kHz, and Off), a Balance control, a continually-variable Loudness control (-40dB to 0dB), a Function control with three settings (Stereo, Mono, and Stereo Reverse), a Level control (that included a push-pull Power switch), and a Speaker selector switch (A, B, or A+B). The 6060 retailed for $219.95 in 1959. 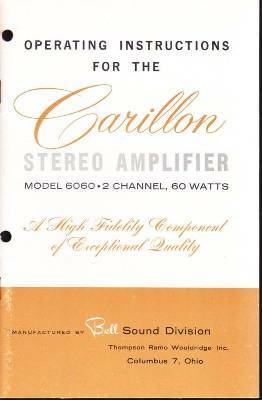 Bell Carillon Model 6060 stereo amplifier - 30 watts per channel using a quartet of EL34's. 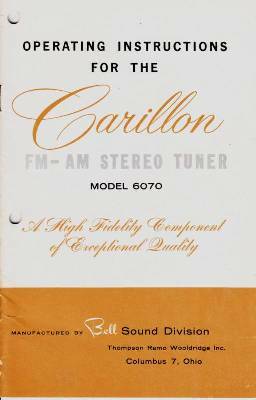 Bell also manufactured an AM-FM tuner in the Carillon Series, the Model 6070. Then, in 1957, Ken Bishop (president of Bell Sound) and Bill Jones (general manager of Thompson’s electronics division) made the fateful decision to change their marketing and distribution strategy. 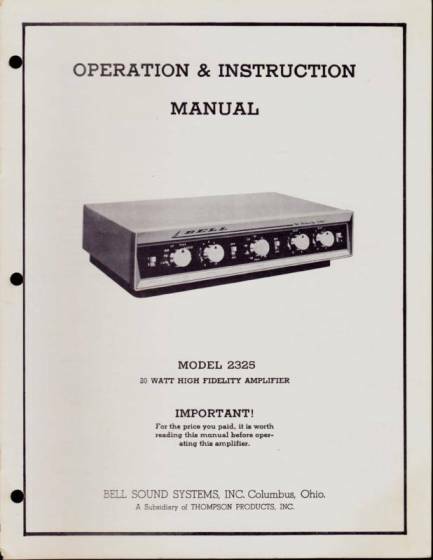 Previously, Bell Sound components had been sold through specialized hi-dealers who in turn obtained the equipment through independent sales reps. Under the new strategy, the company began to market its components through general retail outlets such as department stores. The audio product line was split into three groups: the economical Pacemaker line, the Bell line (the mid-priced models), and the Bell Carillon line, which was the upper most tier (the company’s ‘Cadillac’ models). 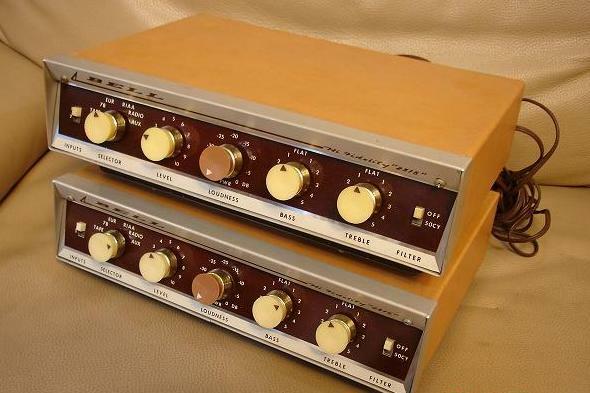 A pair of Model 2315 amplifiers. However, in the late 1950’s, the hi-fi market became increasingly crowded with a multitude of new manufacturers. Bell Sound met stiff competition from companies like Scott and Harmon-Kardon. The company had annual sales of less than five million dollars in 1958. Thompson Products merged with Ramo-Wooldridge to become the ‘T’ in TRW and Bell Sound. 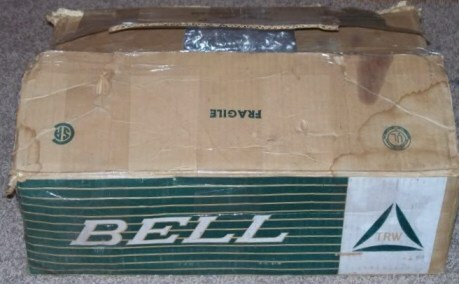 Note the TRW designation on this 1960's Bell shipping box. When Bell ceased its operations in 1965, the company's entire vacuum tube inventory was sold to Olsen Electronics of Akron, Ohio. TRW quickly evolved into an enormous military/aerospace contractor, being involved in the design and manufacture of everything from ICBM’s to Titan rockets for the Gemini space program to semiconductors and computers. (I guess they didn’t have time for paltry little stuff like hi-fi components anymore.) TRW itself would eventually be acquired by Northrup Grumman, in 2002. Meanwhile, Floyd Bell, the founder of Bell Sound, after selling the company in 1953, continued on in the electronics industry. He developed one of the first aviation autopilot systems in the late 50's, and he developed one of the first commercial gauss meters to monitor magnetic fields in the early 60's. While he was developing one of the first commercial depth-finders in the late 60's, Floyd Bell required an audio alarm that would withstand the rigors of a salt water environment. When he was unable to locate a commercial-grade product to fit his needs, he decided to build one. Today, Floyd Bell Inc. is the world’s leading manufacturer of piezo-electric audio alarms. Time sorts out the true meaning and significance of events. 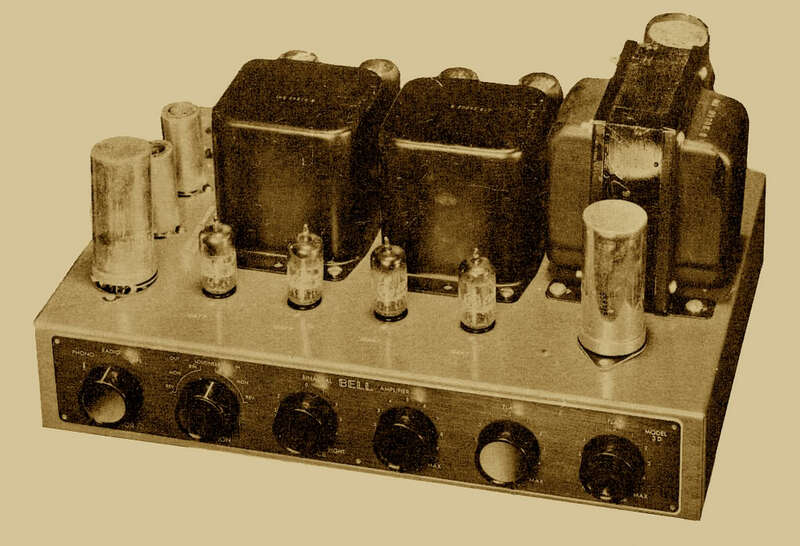 From its inception in the early 1930’s and up until its demise in 1965, Bell Sound was a pioneer and innovator in the manufacture of quality vacuum tube hi-fi components. Even today, Bell amplifiers such as the Model 2325 remain highly revered. 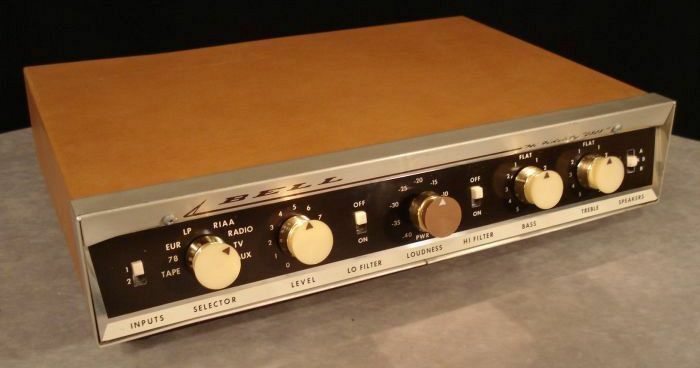 Bell products were well designed (even over designed), and the tubes in Bell amps were driven quite conservatively. This led to a long, reliable life for the tubes and their associated components. For example, the Model 2325 had about 400 volts on the plates of its 6L6 power tubes, running them in pentode mode, producing a modest 20 watts. Twenty watts of power from a pair of 6L6 tubes certainly leaves the tubes loafing most of the time (these days, 60 watts from a pair of 6L6 tubes isn’t uncommon). Interior of a Bell Carillon Model 6070. 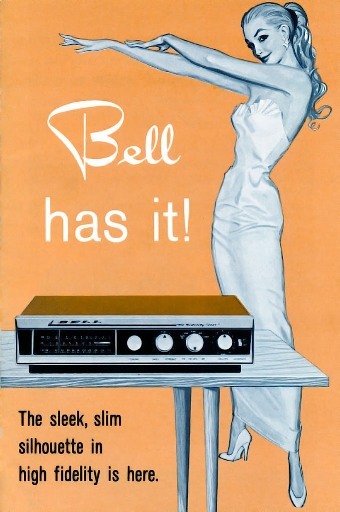 Bell Sound was an innovative company, too. They used a Baxandall tone stack (in a feedback loop) on many of their products - and their tone controls really do sound nice. They even incorporated cathode feedback into the output stage of the Model 2325 (remember, this was in 1957!). The 2325 featured individually adjustable cathode bias pots with test jacks. Bell used DC on the filaments of the input buffer and phono stages, deriving it from the cathode current of the 6L6 tubes. The 2325 had 4, 8, and 16 ohm taps on its output. Nice. 5Y3GT rectifier tube and pair of 6V6GT power tubes inside a Model 2315. Note how they are mounted at an angle. Model 2325 - just like the one Dad bought. My dad bought a brand new Bell Model 2325 in 1958 when I was only three years old. 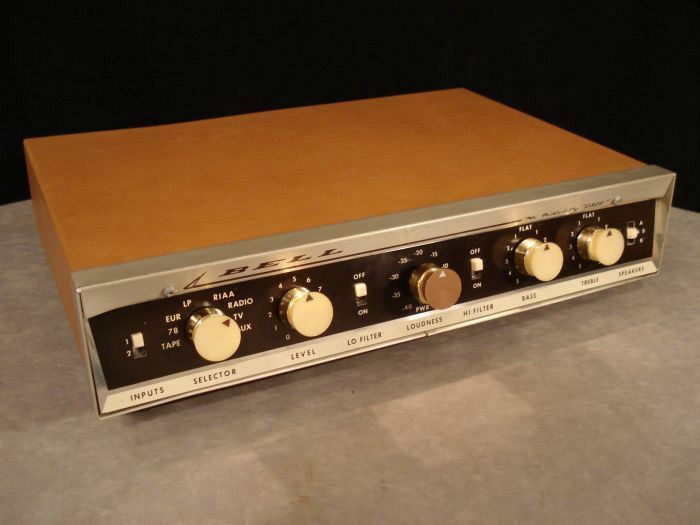 The 2325 was my introduction to hi-fidelity audio – and the world of electronic sound equipment. I cut my audio teeth on that amp. Dad taught me all about the workings of every one of its switches and knobs. We had a Zenith Cobra-matic Stroboscope turntable, and I learned how to play records on that thing. I learned how to EQ the sound, adjusting the treble and bass controls on the 2325 just so so for each record, gently tweaking and tweaking until it finally met Dad’s Official Seal of Approval. 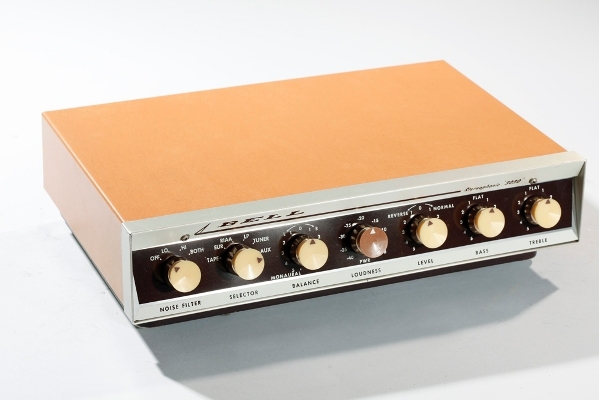 The Model 2325 essentially had TWO volume controls – a continuously variable Loudness control and a regular volume control (Level). You could obtain all kinds of sounds just by juggling the settings of the Level and the Loudness knobs. And this was in addition to the regular Treble and Bass controls! 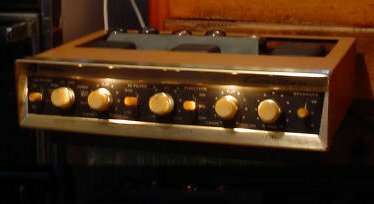 The 2325 also had a Lo Filter (a rumble filter) and a Hi Filter (a scratch filter), along with a speaker selection switch (A, B, or A+B). It had a Selector switch to choose either Tape, Radio, TV, or Aux inputs, or one of FOUR phono curves (78, Eur, LP, or RIAA). It also had a switch for two inputs. Believe it or not, by the time I was five years old, I knew how to work ALL that stuff! So, whenever I felt like it, I would grab a record and throw it on the turntable and go about adjusting the sound on the 2325 until I was satisfied with the sound. I never bothered to use the manual. For that matter, I didn't even know we HAD a manual! 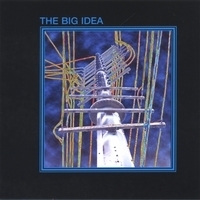 Order THE BIG IDEA compact disc from CD Baby! Copyright © 2019 Wingspread Recording Ltd. Co.